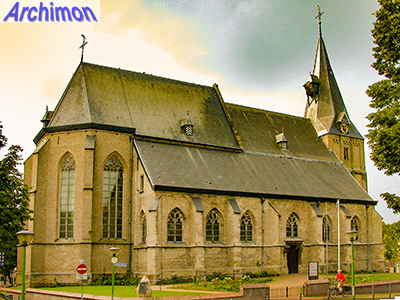 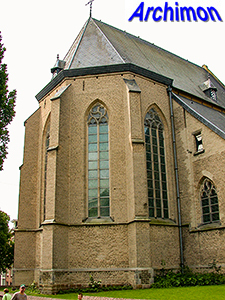 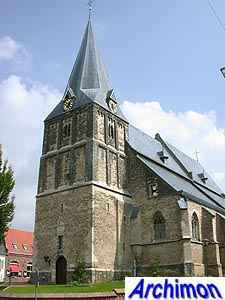 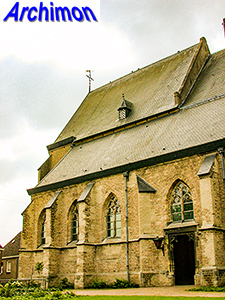 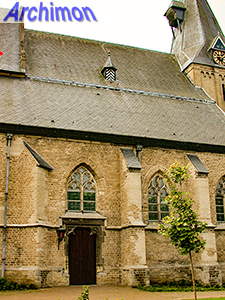 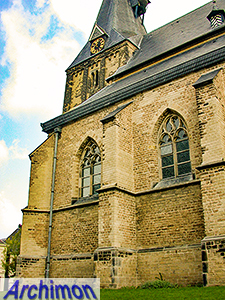 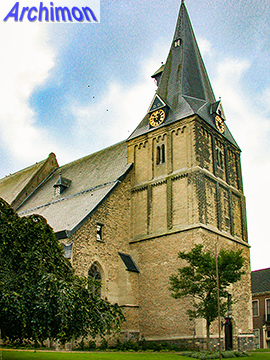 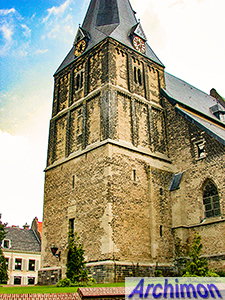 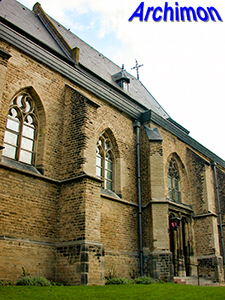 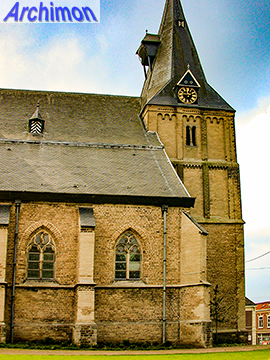 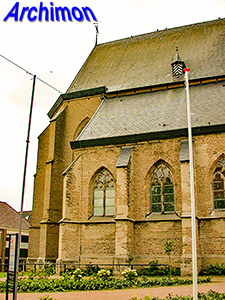 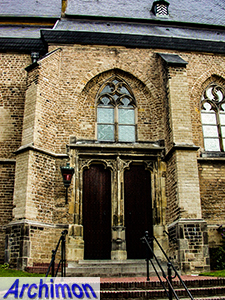 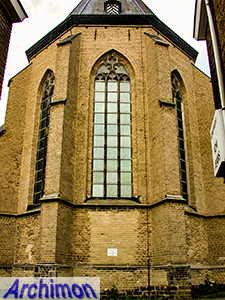 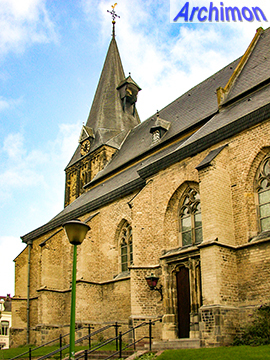 The old church of Aalten is also known as Helenakerk, a reminder of its catholic origins. 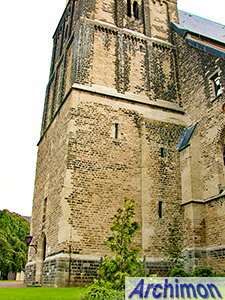 Its oldest part is the late-Romanesque tower, which was built in c. 1200 and heightened in c. 1400, still in Romanesque style. 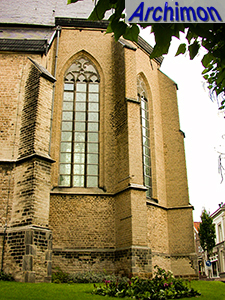 With the exception of the tower, the original Romanesque church was replaced by the current Gothic three-aisled pseudo-basilica in the 15th century. 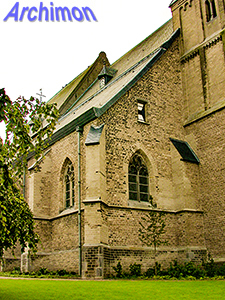 In c.1440 the current Gothic choir was built, followed by the three eastern traves of the nave. 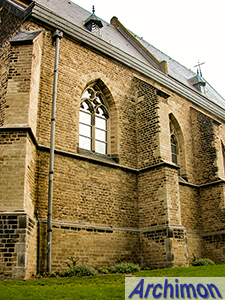 After the Romanesque nave had been demolished, the western half of the nave was built in 1470-1483. 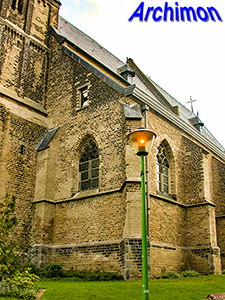 The border between the two phases is marked by the buttresses between the third and fourth traces, which point forward. 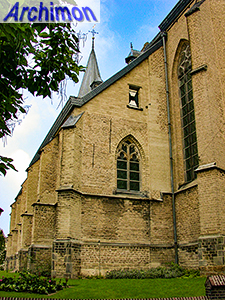 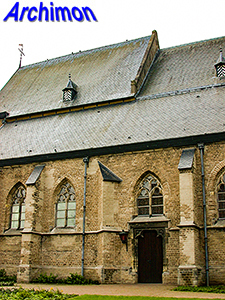 The church was restored in 1898-1903 with plans by J.Th.J. 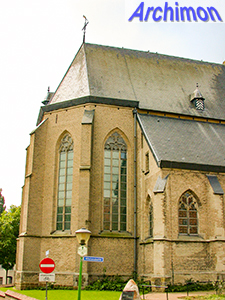 Cuypers and J.W. 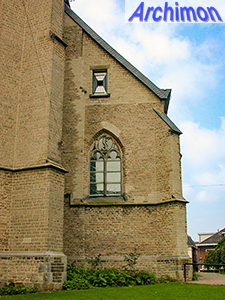 Boerbooms. 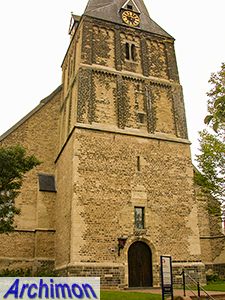 The current spire on the tower was added in 1930.